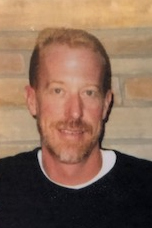 David A. Montgomery, 45, of South Bend, IN passed away at 6:42 p.m. Wednesday, September 12, 2018 at his home. He was born on February 11, 1973 in Mishawaka, IN to Richard and Cynthia (Rhodes) Montgomery. David is survived by his parents, Richard and Cynthia; brother, Corey Montgomery of South Bend, IN ; grandmother, Betty Rhodes of South Bend, IN; two nieces, Samantha and Allison Montgomery and several cousins. He was preceded in death by grandparents, Harold Rhodes, Richard and Betty Montgomery. David was a lifelong area resident. He worked at Shaffer Heaney Associates in South Bend from November 2005 till August 2016. He was currently working in construction for Extreme Services in Osceola He was a hard worker, always the first one there willing to help. David would do anything for anyone at any time. He loved the outdoors and enjoyed camping, smoking meat, making BBQ and gourmet mac and cheese. Anytime outdoors was a good time for David. Friends may visit with the family from 4:00-7:00 p.m. Sunday, September 16, 2018 at the Palmer Funeral Home-Guisinger Chapel, 3718 S. Michigan St. South Bend, IN and one hour prior to the services on Monday. Funeral services will be held at 11:00 a.m. Monday at the funeral home. Graveside services and burial will follow at Southlawn Cemetery, South Bend.